NEW YORK — "Thor: Ragnarok" thundered to one of the year's best box-office debuts with an estimated $121 million domestically, proving again — just as its flexing its muscle — the might of the Walt Disney Co. 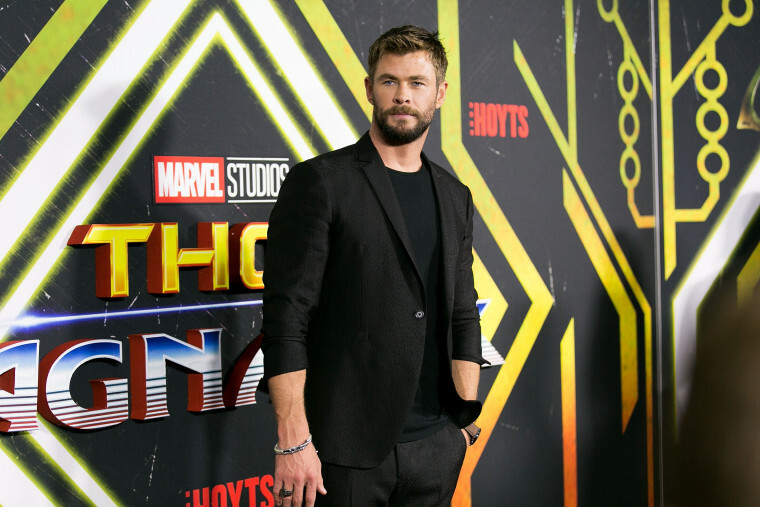 The robust debut for Marvel's third "Thor" movie was a welcome shot in the arm for Hollywood and theater owners who have suffered through a terrible October. "Thor: Ragnarok" also bucked the trend of diminishing returns for sequels. The 2011 "Thor" opened with $65.7 million; 2013's "Thor: The Dark World" opened with $85.7 million. "In this business, it's not often you see the second and third installments in the franchise outpacing the previous issue," said David Hollis, Disney's distribution chief. The weekend's other new nationwide release, STX Entertainment's "A Bad Moms Christmas," opened with $17 million over the weekend and $21.6 million since opening Wednesday, according to studio estimates Sunday. The holiday-themed sequel, which returns stars Mila Kunis, Kristen Bell and Kathryn Hahn, came in shy of the 2016 original's $23.8 million opening. But the big story was "Thor," which also grossed $151.4 million in its second week of international release. The film has, in 10 days, made $427 million worldwide. Disney isn't alone in being able to roll out such blockbusters, but three of the year's five $100 million-plus releases are its. (The two others are "Beauty and the Beast" and "Guardians of the Galaxy Vol. 2") The studio has recently, as The Wall Street Journal reported last week, pushed new terms to theater owners, saying it will demand a 65 percent cut of ticket sales for its coming "Star Wars" film "The Last Jedi," as opposed to the more typical 60 percent. Hollis declined to discuss the studio's negotiations with theaters but said, "We're hopeful that our big films will help drive our mutual success." The Los Angeles Times also reported Friday that Disney barred its critic from attending "Thor: Ragnarok" after the paper published an investigative report about Disneyland's business ties with the city of Anaheim. In a statement Friday, Disney said the two-piece report showed "a complete disregard for basic journalistic standards." The issue of revenue splitting is an acute one for theater owners who are already fighting up-and-down ticket sales and mounting competition from streaming outlets. Disney plans to launch a streaming service in 2019 that will include some film releases. It's often been feast or famine this year at the box office. August was historically dismal, September swung to record-breaking highs, and October again badly slumped with the lowest overall gross in a decade. The year is running down by 4.8 percent off last year's record pace, according to comScore. Paul Dergarabedian, senior media analyst for comScore, expects November will swing back up, thanks to "Thor," Warner Bros.' "Justice League" and the Disney-Pixar release "Coco." "It's like a tennis match. We're up. We're down. It's not for the faint of heart," Dergarabedian said. "The industry has its work cut out for it to make up that nearly 5 percent deficit as we hit the home stretch of what has been an incredibly volatile box-office year." Several films opened in limited release, including Greta Gerwig's coming-of-age tale, "Lady Bird," with Saoirse Ronan. On four screens in New York and Los Angeles, the A24 release drew some of the most packed theaters of the year, with a $93,903 per-screen average. Rob Reiner's "LBJ," with Woody Harrelson, opened with $1.1 million in 659 theaters. Richard Linklater's "Last Flag Flying," with Bryan Cranston, Steve Carell and Laurence Fishburne, brought in a per-screen average of $10,500 in four theaters.